Elizabeth Green’s “Building a Better Teacher” argues that modeling can be extremely beneficial for student learning (p. 267 -268). When we show students what we want – exemplary papers, labs, projects, videos of exhibitions, intentional teaching of discussion and practices of rigorous, collaborative learning. The more we can demonstrate and model the excellence we seek, the clearer our expectations will be, as will the steps to that level of thinking. During our recent fall athletic camps, I witnessed two examples of such modeling. At the end of their first volleyball practice on Wednesday afternoon, Gretchen Hagenbuch had her girls running a series of drills. When she asked them to practice a dive, some of the newer girls weren’t exactly sure what to do. So Gretchen dove across the court, bracing her fall with one arm, thrusting her other out for dig at the imaginary ball. She did it again, and then one more time, to make sure they girls understood. Then she did it with them to give them a final visual model to imitate. 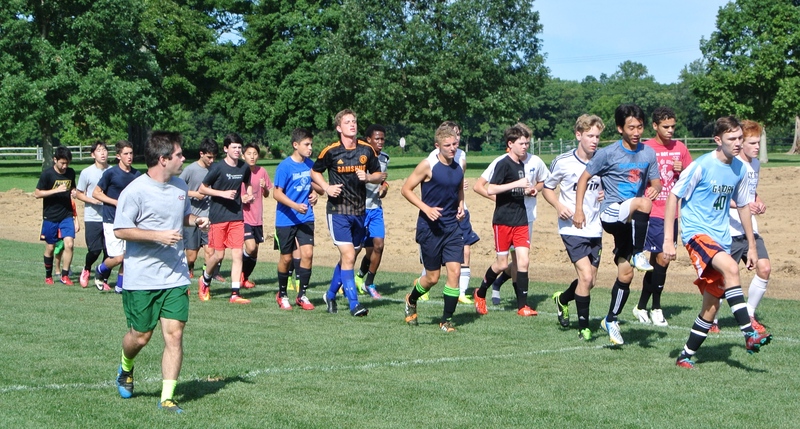 Two days later, Matt Carroll was coaching the boys soccer team how to trap, pass and move. The players’ passes were soft, and the traps were loose; few players were sprinting after they passed the ball, as Matt had mandated. Instead of merely blowing his whistle, yelling, telling them to do ten pushups and a few sprints, Matt jumped in and showed them exactly what he wanted and how to achieve it – how to open your legs and trap the ball, how to strike the ball to get it 15 yards in a way that your teammate can next rap it; and what a sprint looks like and how it gives your team an offensive advantage. Matt demonstrated it again, putting together for all to see each skill and step. It wasn’t just that both coaches were great athletes: it was more that each one knew the importance of modeling, of being able to demonstrate – either by themselves or by one of their players – exactly what skill they wanted their team to master. As we enter the classroom, we can use models to help our students grow intellectually and artistically; we can use them for how we want them to treat each other; we can employ them as exemplars of community, service, generosity and joy. I welcome your feedback on other moments of modeling outside the classroom, and why they were – or were not – successful.